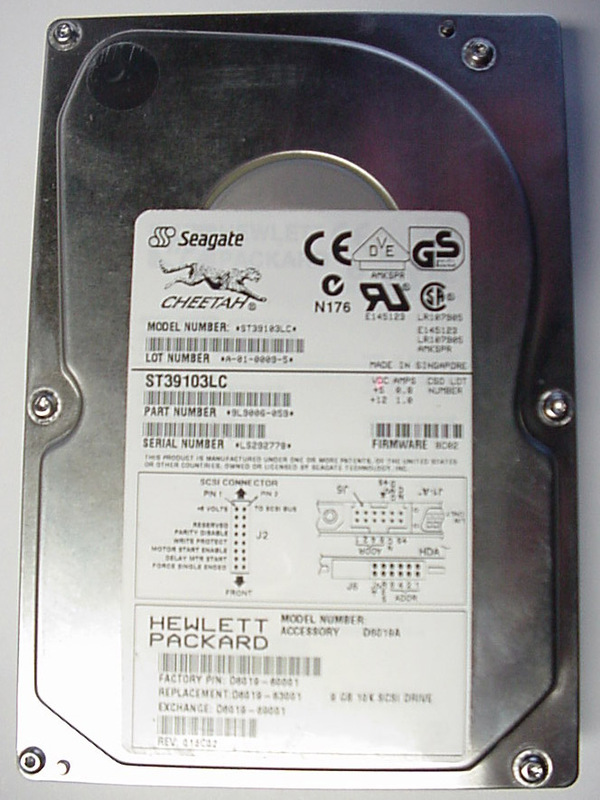 Any drives from this particular family of Seagate drives should work. This is the least expensive, easiest to find, and best supported option for hard discs on the MIO using the new 1.4 firmware. 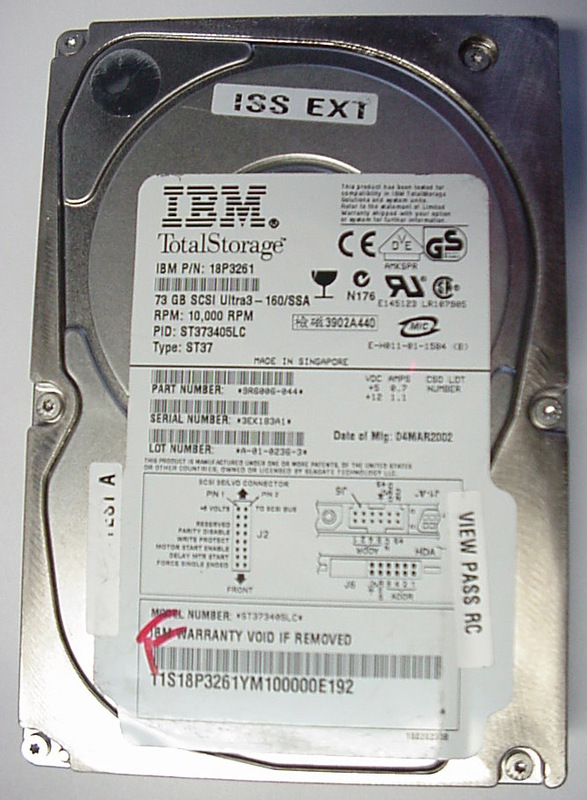 To use these drives, you need to adress several requirements. 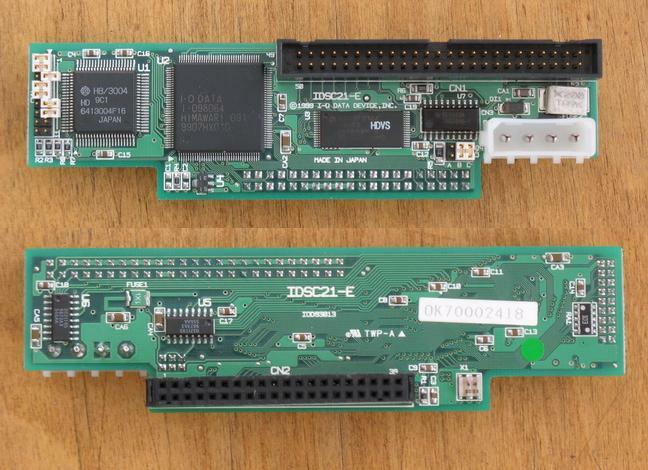 First, you need an adaptor board (see below) to be able to physically connect the 80pin SCA drive to the 50pin SCSI bus. These are pretty cheap and easy to find. Second, you need to set the jumpers on the drive for "Parity Disable" and "Force Single Ended" operation. Third, you need to terminate the SCSI bus. SCA drives do not have on board provisions for termination. 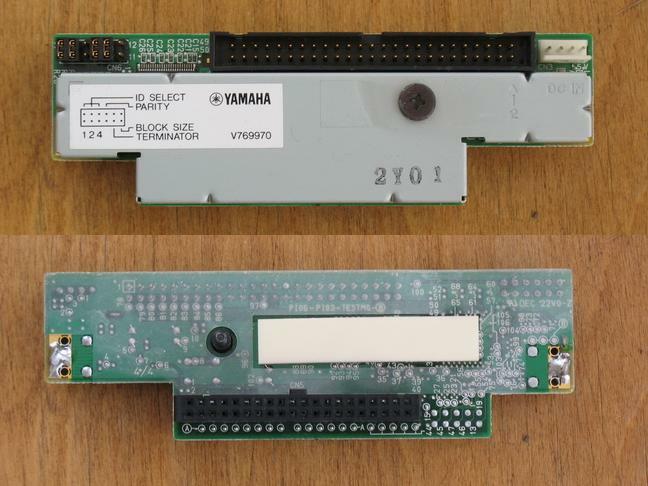 If your adaptor board does not have this capability, you need to use an external terminator on the 50 pin SCSI cable that goes from the MIO to the adaptor board. In this case, the terminator should be the last device on the cable. In otherwords, the cable should go from MIO to Adaptor to External SCSI terminator, in that order. Fourth, you need to provide Terminator Bus Power. Some adaptors have this option built in. If yours does not, you can perform Warerat's Terminator Power Mod (see below) which makes the MIO provide terminator power to the SCSI bus. Fifth, The SCSI ID on the adaptor should be set to 0. DO NOT ATTEMPT THIS UNLESS YOU KNOW WHAT YOU ARE DOING! Perform at your own risk. These are two simple things you can do to your MIO to make things more compliant on the SCSI connector. This adds MIO provided terminator power and terminates the unused parity pin. These mods aren't necessary to make things work, but it's nice to know when something doesn't work it's not because the interface is incomplete. Connect +5V from power filter cap C29 to diode anode. Connect diode cathode to J4 pin 26. Use common sense and make sure nothing is shorting. Top right of picture is top left of board looking at solder side (back of MIO is on the right). I don't know what you guys are doing but my stuff works. These are pretty expensive, but they work extremely well. Very fast, reliable, and they have worked with every Paralell IDE device we have tried. The card also has on board provisions for both termination, and terminator power. If you can afford one, this is a great way to go. I have not tested this one, but based on compatability reports with similar hardware in other applications, we think there is a good chance that it will work. Buy/Try at your own risk. First thing I'll say is that I have tried a wide range of stuff with the Acard AEC-7720U. Every single IDE device, including old IDE drives, new IDE drives, CF Card adaptors, Solid state IDE drives, IOMEGA ZIP drives, etc. has worked flawlessly with this card. If you can find one for a decent price, get it! Second thing to note is that even though you are using a SCSI to IDE adaptor, you still need to observe proper termination practices for the SCSI bus that connects it to the MIO. If you are using the Acard, just make sure both the Termination and Terminator Power Jumpers are set. With the other adaptors, follow the same conventions outlined for the 50 pin SCSI to 80 pin SCA adaptors, a few sections back. In otherwords, if the adaptor board doesn't provide it, you really need to provide it by other means, in order to get the best performance and reliability. Everything on this page is based on our experience with the above referenced hardware and configurations. YOUR EXPERIENCE MAY BE ENTIRELY DIFFERENT! We hereby disclaim all responsibility (legal or otherwise) for the accuracy of this information as well as anything that results from the use of it. If you do not agree to this disclaimer, then you are not allowed to use this information.